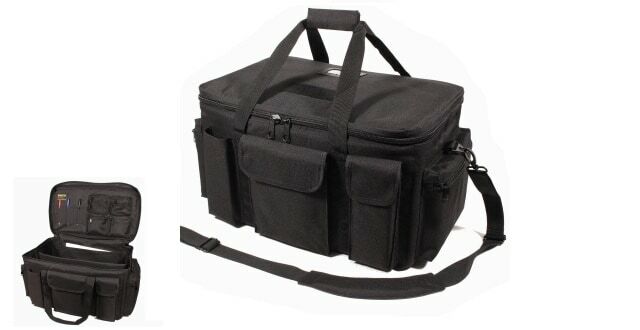 A well designed and durable Police Duty Bag which has been designed to keep plenty of kit stored away safely. Here is another bag designed for daily police use. The M25 is a semi-rigid Bag and the box-like compartment allows you to fit plenty of kit in for its size. Even though it’s a semi rigid construction the M25 does makes sure your kit and documents remain stored away safely in your vehicle. The bag is made up of heavy 1200D material which is one of the most hardwearing but is still lightweight enough to easily carry. It has one main compartment and five external pockets. It has carry handles and a padded shoulder strap. There is also a clear window on the top of the bag for ID or warrant Card.